We all know of the incredible bond that exists between mother and child, but could your kid pick you out of a crowd blindfolded? A bunch of mums put their kids to the test recently. And the results will leave you in tears… and wanting to try it for yourself. In a small experiment called A Unique Connection, jewellery company Pandora recently selected six women and their children to prove just how powerful the bond between mum and child really is. 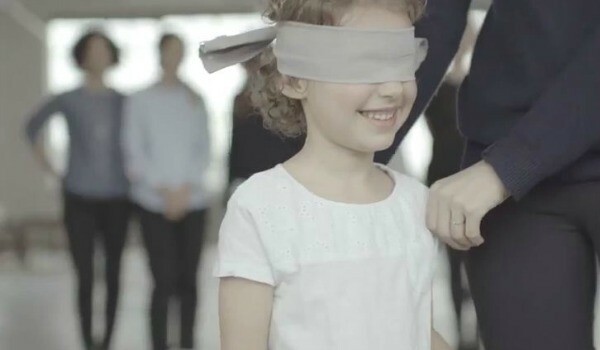 The blindfolded children, aged three to nine, are guided towards to group of women and are asked to pick out their mum using touch, smell and intuition. And through a tender touch of the hand, a soft stroke of the face and a gentle grab of the hair, every child does. I don’t know what is more beautiful – the anxiety on the mums’ faces as they wait for their child to come to them, the tears in their eyes when their child succeeds, or the smiles on the children’s faces when they take the blindfold off and recognise the woman staring back at them. Whatever the case, this video proves that love has no bounds and that the connection we have with our children is truly unique. Yes, it’s an advertisement and there is plenty of pretty Pandora jewellery cleverly placed on fingers and necks of the mums. But sometimes even advertisements get it so right that we have to share. Check out some of our other favourite advertisement videos that perfectly capture the hilarious and heart warming moments of being a mum.